Papua Bird Club (PBC) was founded in 1995 as the first Bird Club around entire West New Guinea or Irian-Jaya or Papua today. In Indonesia, PBC is registered as one of Indonesian NGOs under the name of Yayasan Papua Bird Club (YPBC). 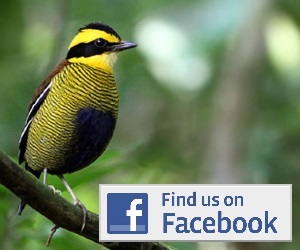 Papua Bird Club specializes in tailor made tours for any kinds of interest and offers customized trips for bird lovers, naturalists, biologists, conservationists, photographers, film-makers and holidays adventurers. For a special trip request, PBC offers an unforgettable expedition journey to visit the Tree House Tribe (Korowai-Kombai Tribes). PBC provides wildlife consultancy, personal professional wildlife/eco-guiding, contact to documentary filming agents, assisting international/domestic ticketing and providing information on the world diving around Papua. 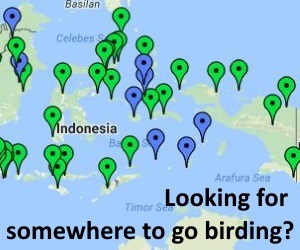 Besides accommodating request on birding inside Papua, Papua Bird Club has been undertaking similar trips too around Sulawesi, Moluccas and other Wallacea regions. For special request outside Papua, PBC offers various wildlife, culture and natural history tours to Sulawesi, Moluccas, Bali and Komodo Island. Papua Bird Club has also been carrying out community base development programs and contributes itself in Indonesian Ornithology Union (IdOU) activities. Papua Bird Club stands as IdOU Representative for Papua Region up to 2010. Papua Bird Club guarantees you that when you travel with us, you will travel in the footsteps of “Attenborough in Paradise”, where Sir David Attenborough was with his same guides.